Culinary frontiers: Is it possible to bring food across the Russian border? 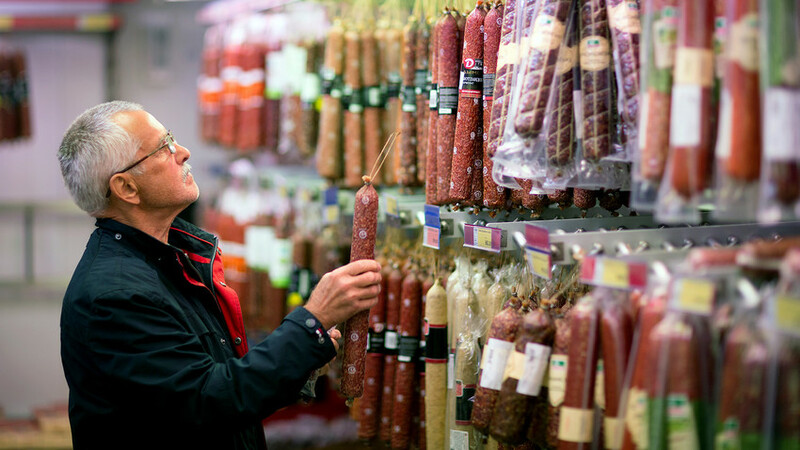 Bringing European salami will be risk-free, if you keep it sealed in the factory packaging. While Russia is not among those severe countries that confiscate a range of foodstuffs from unsuspecting tourists, there are some rules to keep in mind. If you’re thinking about traveling to Russia with food products - whether for yourself or friends - make sure you know what not to take in order to avoid unpleasant surprises at the border. First and foremost, any food product of animal origin must be in its original commercial packaging. If you have fish in your luggage, for example, it must remain sealed in the factory packaging. Fish covered in paper or even in a vacuum-sealed plastic bag will be confiscated at the Russian border. 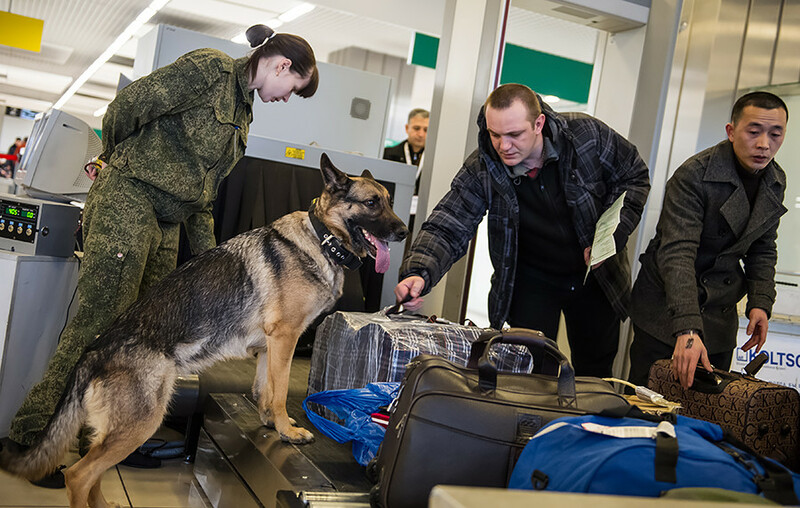 Another thing to keep in mind is to check temporary restrictions for food imports, which can be found on the website for the Service for Veterinary and Phytosanitary Surveillance (Rosselkhoznadzor). You can check restrictions on products by country of origin. Some restrictions might be temporary, appearing as a response to dangerous diseases or other factors in your country of departure. How much food can be carried? In general, you can carry up to five kilos of animal and plant-based products per person. These include not only fruits, vegetables, cheese and sausages, but also nuts and berries. Sanctioned products can also be brought into the country for personal use. Sanctions only apply to commercial organizations, so no need to worry about this if you’re traveling for personal reasons. Just make sure not to exceed the five kilos per passenger. If you’ll have more than five kilos, then get ready for paperwork. You’ll have to fill out documents for the goods in question, such as a veterinary certificate and/or a permit from Rosselkhoznadzor (find out more on their website). The total amount should not exceed 50 kilos. A large amount of goods will attract attention and questions, so be ready to prove that you’re not importing them for commercial purposes. You can bring Russian caviar home, but no more than one tin of 250 grams is allowed. As for Russian fish and other seafood, the same rule applies - not more than five kilos. Only those over 18 have the right to bring alcohol into the country. The limit is three liters for alcohol, including beer. One can bring two extra liters after paying 10 euros per extra liter if necessary. The same rules apply for exporting alcohol from Russia – for instance, if you’d like to bring Russian vodka home, you can only take three liters duty free. What happens if I carry more? Extra luggage might require paperwork. Officially, a person can carry up to 50 kilos of luggage duty free, but it shouldn’t have a value of more than 10,000 euros (if one travels by plane), or not more than 1,500 euros (if one travels by car or train). According to current rules, those carrying a larger or more expensive amount of goods risk paying a duty of 30 percent. In reality, however, one might get lucky when carrying an amount that’s more than officially allowed. An anonymous source told Russia Beyond how he managed to carry seven cans of caviar (250 grams each) from Russia to Europe, and had no problems. But we warn you – obey the law. It’s better to be safe than sorry!